Springwise will instantly inspire you by getting the world's most promising new business ideas and startup ventures right in front of you. 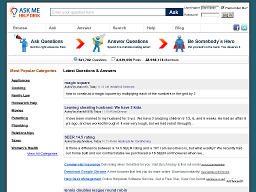 AskMeHelpDesk.com A site with a great concept. If you need help for anything from financial advice to technical support try this question-and-answer community. If you're an expert, participate and lend your expertise. Bizmove.com A comprehensive free resource of small business information. Whether you're looking for loans, grants, tips or How To information, this site is a good starting point. 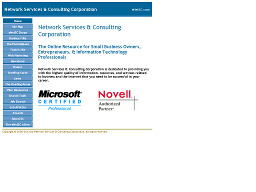 Network Services & Consulting Corporation This online resource for small business owners, entrepreneurs, and information technology professionals is dedicated to providing the highest quality of information, resources, and services related to business and the Internet. PRFree.com A fr-e-e press release distribution service backed by the wire service Eworldwire. Distribution of your release can be upgraded to ensure maximum exposure. Guarantees the inclusion of your press release in major search engines. 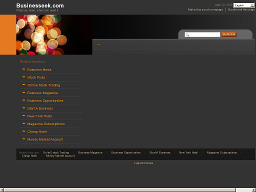 Businesseek.com A comprehensive small business directory and business search engine. The site also carries business news, stock quotes, advice, and much more. 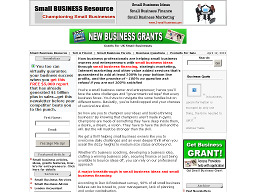 Small Business Resource Total Small Business Resource for entrepreneurs and small business owners. Services include, Internet marketing, business grant, cash flow, business planning, business advice, quality assurance, and more. 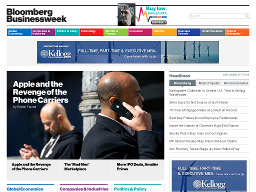 BusinessWeek.com A McGraw-Hill website, offering a wealth of business information on a wide variety of topics. 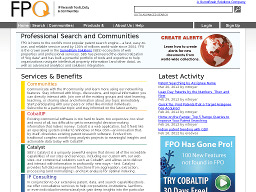 The site provides the news, resources, podcasts, RSS feeds, articles, etc. Free Press Release Cente An online news and press release distribution service for small and medium-sized businesses and corporate communications. Allows keyword linking in press releases. FreePatentsOnline.com Provides fast access to mill'ions of patents and patent applications. This is the most powerful patent search engine on the web and it's fr-e-e! 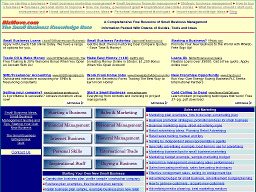 AllBusiness.com An online media and e-commerce site that helps entrepreneurs and small and growing businesses by presenting practical solutions to real-world problems. The site offers how-to articles, business forms, contracts and agreements, expert advice, blogs, business news and more. 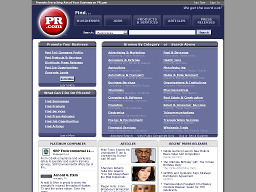 PR.com A unique resource that provides in-depth company profiles on the worlds top businesses. The site also provides information specific to each industry category, such as breaking news, job opportunities, products and services, and press releases. 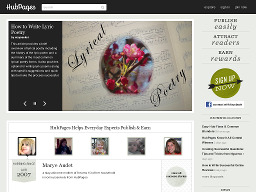 HubPages A leading online publishing ecosystem with easy-to-use publishing tools and an active author community. Hubbers (authors) earn revenue by publishing their Hubs (content-rich Internet pages) on topics they know and earn recognition through a community-wide ranking system. 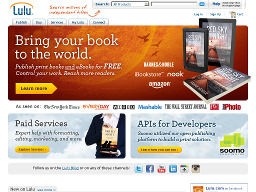 Lulu.com An independent publishing marketplace for digital do-it-yourselfers. You can publish, sell and buy any and all things digital books, music, comics, photographs, movies, etc. Lulu provides the tools for you to publish and sell any kind of digital content. 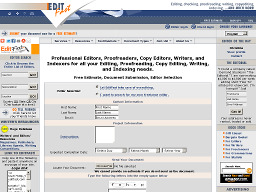 EditFast.com A new service site for content providers that offers access to over 1200 freelance editors, proofreaders, writers, and copy editors who will edit and proofread business reports, letters, contracts, web documents, books, advertising copy, etc. to create professionally polished end documents!